Welcome to our Technique Blog Hop! This month we are highlighting the B&T Duos Designs as Embellishments Technique as shown on page 21 in the Spring/Summer 2012 Idea Book! 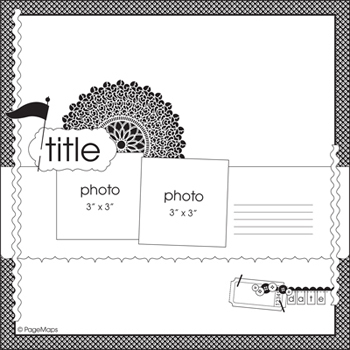 Cut portions of your B&T paper and use as embellishments on your project. This is something I love to do! This blog hop is a great big circle so you can start wherever you want and continue through to see all the fabulous artwork incorporating this technique. So if you are starting here, just continue until you make your way back. If you have already started, you should be coming from Joy’s Blog. If you get lost along the way, go to my previous post for a list of all participants. Supplies used: Florentine Paper Packet, Opaques Mocha Adhesive Gems, 3-D Foam Tape, Bronze Glitter Glitz, and Graphically Speaking Cricut cartridge. This is one of my favorite techniques! 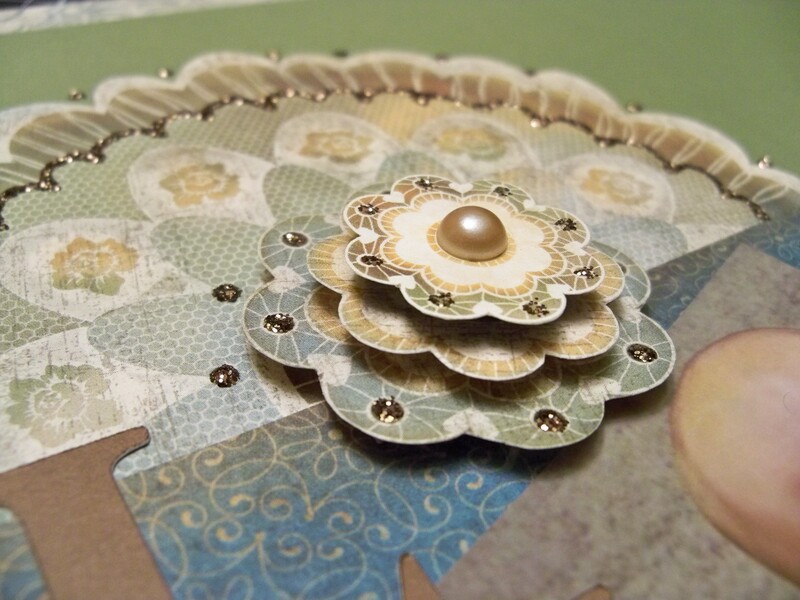 There are so many beautiful papers and turning them into even more beautiful embellishments to accent your page is so much fun. I cut all the flowers, large and small, from two different Florentine papers. A trick to cutting is to be sure to use a good scissors and when cutting move your paper (not the scissors) especially when cutting circles or curves. I embellished my cutouts with glitter glitz and added pearls. I used the 3D foam tape to add some pop to my page. You can see the details in the first picture at the top of this post. There are so many other things that you can do…you can cut borders, add Liquid Glass, Sparkles. buttons, brads, the list is endless! Thanks for stopping by! Please continue onto Tracey’s Blog where you will find some additional artwork highlighting this technique! Be sure to leave a comment and let me know what you thought of my variation and happy hopping! 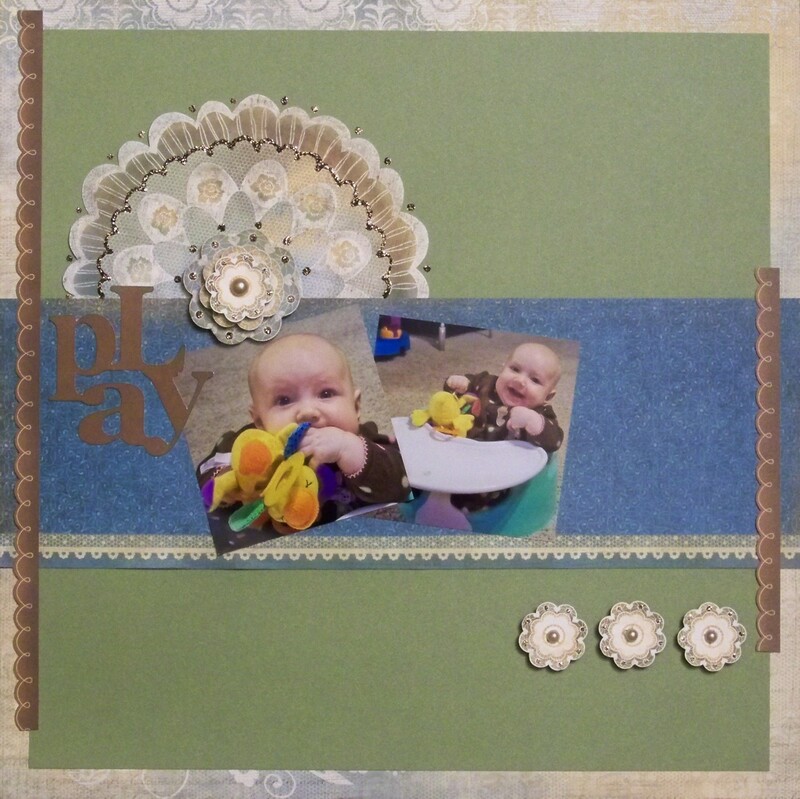 Welcome to the March 2012 Close to My Heart Spotlight Blog Hop! This month we are spotlighting My Creations. There are so many to choose from in the 2012 Spring/Summer Idea Book. This hop will show you some of the different ways you can embellish these wonderful items. 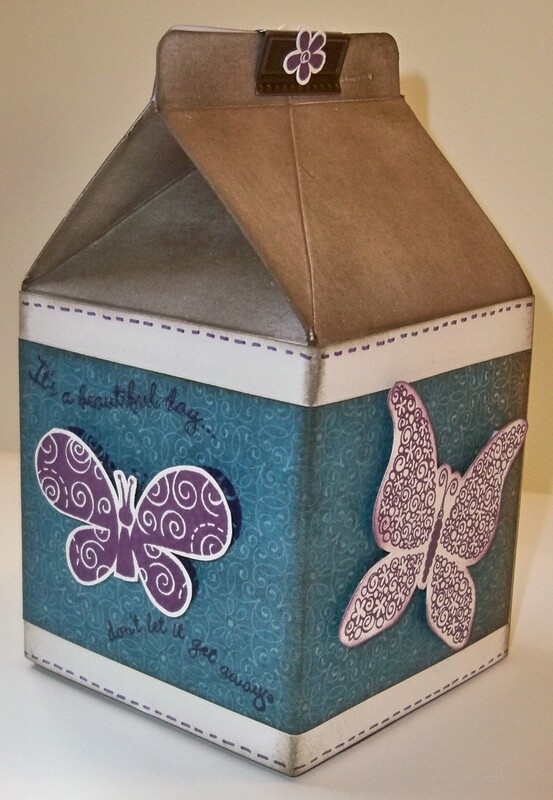 Supplies used: My Creations Milk Carton, Florentine Paper Packet, Colonial White cardstock, Pansy Purple ink, Embrace Life stamp set, Pansy Purple marker, and Cocoa ink. There are so many My Creations projects that I want to do that it was so hard to pick! Then, I thought I should make these cute little milk cartons and fill them with candy for Easter. (Now Christine I know you are going to read this so you have to act surprised!) The My Creations Milk Cartons come two in a pack and they come with the clip for the top. They are white but I inked my with Cocoa ink. I started my paper in a corner and just wrapped it around the carton. Be sure to keep it tight and a 12″ strip will fit perfectly. This will make a cute little gift and it didn’t take much time. I wanted this to last past the Easter season but it would also be really cute using the My Peeps stamp set too. Thanks for stopping by! Your next stop is Tamytha’s Blog! Wendy Kessler <—- You are here.